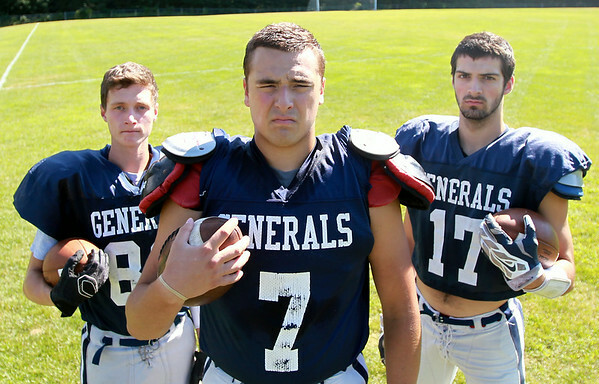 Hamilton-Wenham senior football captains Jimmy Baras (WR/DB), Nolan Wilson (TE/DE), and Jimmy Campbell (WR/DB) will lead the Generals in the fall of 2014. DAVID LE/Staff photo. 9/3/14.